 ”Come little children”  for some spooky and fun Halloween photos! 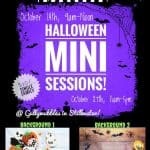 Lombardo Photography and Gullywubbles have teamed together to host a fun event for all families. We made this photoshoot convenient for families this year! 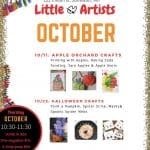 The mini shoot will be held just before the super fun Costume Parade and trick-or-treating event hosted by The City of Stillwater which is also during the Harvest Festival! Make a whole day of it and enjoy all sorts of fun activities for the whole family! We’ll also be at Gullywubbles Saturday the 27th for drop in photos during the Main Street trick or treating event in Stillwater!! pre-register here and save $5! 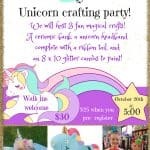 We will host 3 fun magical crafts! an 8 x 10 glitter canvas to paint! $30- Walk ins are welcome, though one craft may be subject to change due to availability.